Guys. I don’t even know where to start. When I bought Rio he was a gangly 5 yr old. I couldn’t get him to pick up his right lead when I tried him. He didn’t have a canter, it was basically a hand gallop or a trot. A 30 m circle was a crazy hard challenge for us. To my knowledge, he had previously done some cavelettis, but no formal jump training. His seller was very upfront with me that she didn’t know if he’d be much of a jumper. He was pretty uncoordinated at that time, so I can definitely see why she had that impression! I purchased him knowing that he may not have an aptitude for jumping, and that that was ok. If that wasn’t his calling, we might do some dressage. 17 months later, 8 of those spent on stall rest/no riding at all, and Rio and I made it to our first A show. 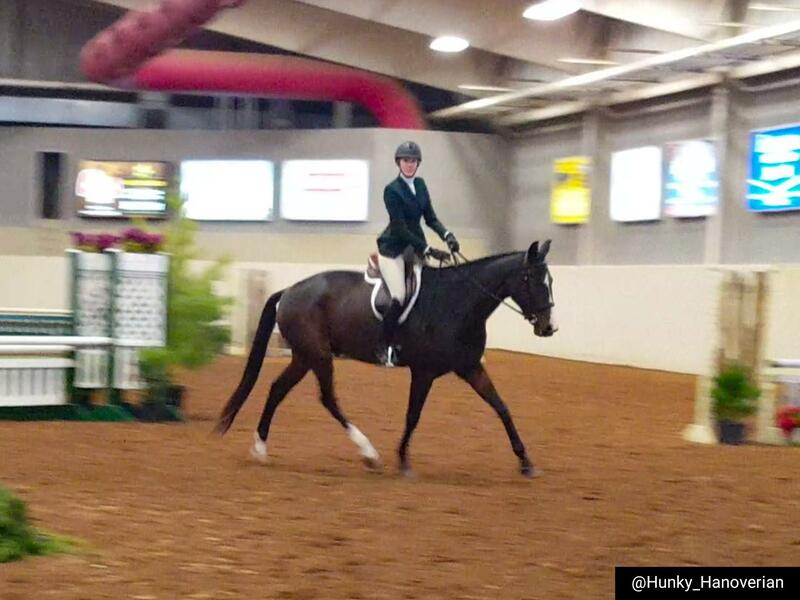 We showed in the 3′ Greens, the Adult Amateurs, and the Adult Equitation (also at 3′). I seriously kind of can’t believe we made it to this point. We ACTUALLY made it an A show, and guess what? Rio fit right in. You would never have known that it was his first real show. Did we make mistakes? Lots. But did we stick out like a sore thumb, or look out of place? Not at all. Turns out, Rio is the perfect show pony, and soaked in the whole atmosphere.